Made perfect use of the sunny patch today!thank u London for that possibility and thanks to everyone for cheering for me! We tried to play a french children's song "Au clair de la Lune". We'd like to say sorry to people around us !! 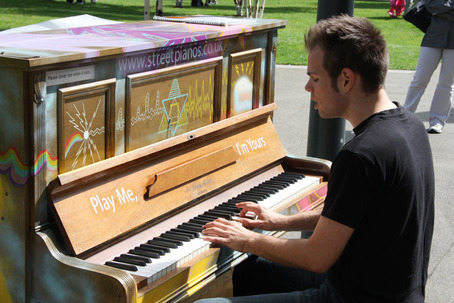 Lovely location and amazing idea- piano's around London. Hopefully we brightened up someone's day! 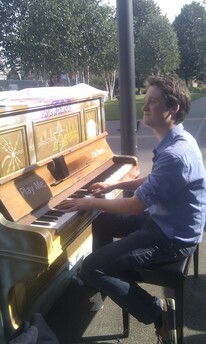 Lovely location and amazing idea, piano's around London- they should be there permanently . One of my favourite locations.. Check out this piano - one of 50 different designs.